Exons 2 and 3 have been flanked by loxP sites (size of loxP-flanked region: 1.5 kb). The positive selection marker (Puromycin resistance - PuroR) has been flanked by FRT sites and inserted into intron 1. 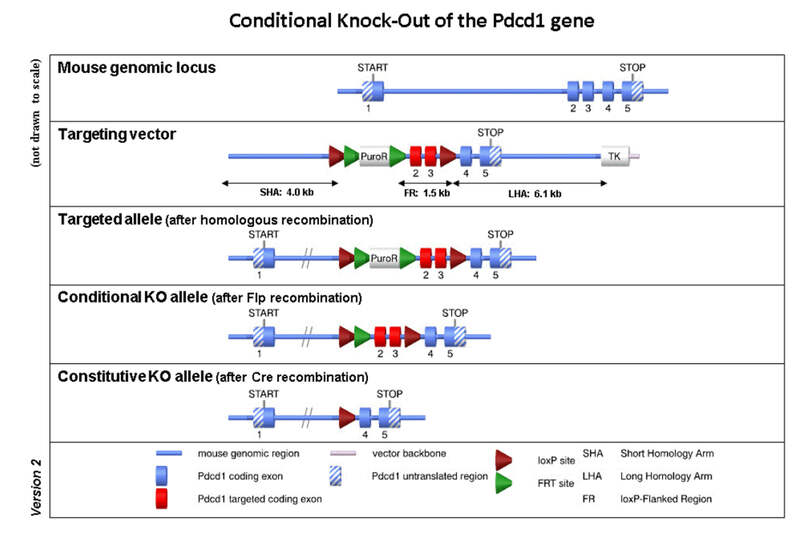 Deletion of exons 2 and 3 should result in in-frame splicing from exon 1 to exon 4 and in expression of a Pdcd1 protein lacking the ligand binding and transmembrane domain. Datamining and Design performed 2014.